We wandered back towards the Old Port through these wonderful neighbourhoods, looking for a few galleries and shops we had found on the internet. Three galleries we recommend visiting are: Arsenal, Darling Foundry and Parisian Laundry. Back to Vieux-Montréal and a warming snack. We ended the day having a delicious Vietnamese dinner in Chinatown. Loved these dressers in an antique shop window. We passed our hotel, seeking something to warm us up. We found a gorgeous building that turned out to be an art gallery mall on rue St-Paul. It had a sweet little cafeteria where we had hot chocolate, coffee and a little pear tart. Heading back to the hotel past Place Jacques Cartier. 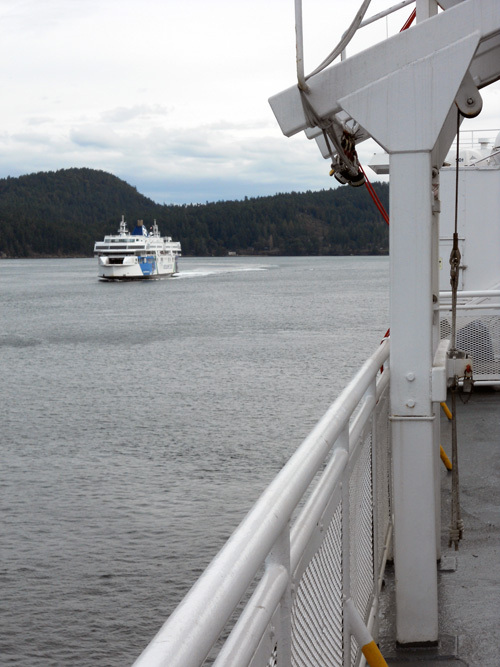 Last week we headed over to Vancouver for three days; what fun! We really appreciate having a much larger city in which to play so close to our little lovely town. We missed the bus on tuesday morning which would have put us on the 9am ferry, so were forced to eat a delicious breakfast at our favourite place Mo:lé, and had time to go back home to snuggle the cat for a few minutes before catching the bus for the 11:00 boat. The straight was a bit rough, but we arrived on the mainland intact and a quick bus/skytrain ride later we were downtown. First stop, the Sylvia Hotel at English Bay; our home away from home whenever we go to Vancouver. 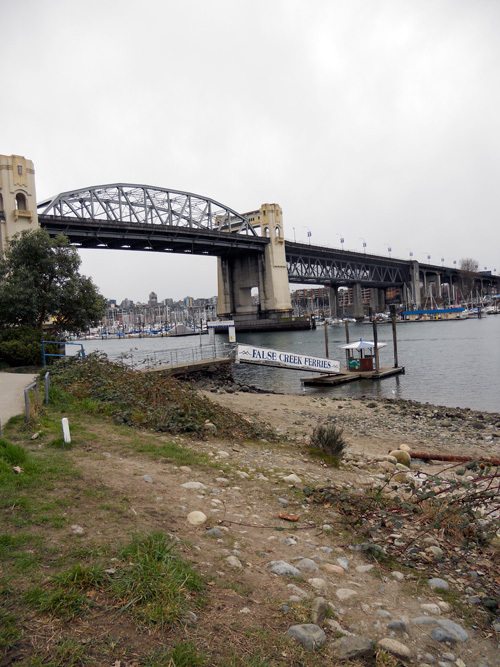 After a quick freshen up we headed out to walk the sea wall towards Granville Island. We found some great art to view at a few of the South Granville galleries. Equinox Gallery had an amazing display of Takao Tanabe; the largest number I’ve ever seen in one place. His work is so beautiful. A bit of shopping and then an AMAZING dinner at Vij’s. 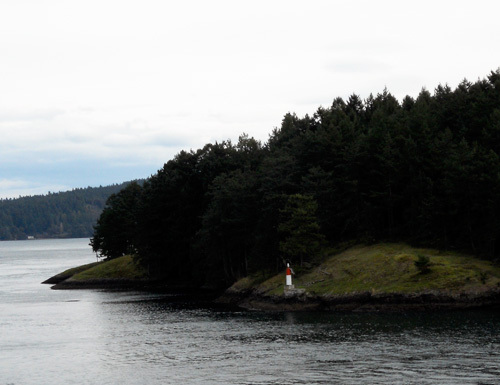 Winding our way through the Gulf Islands. 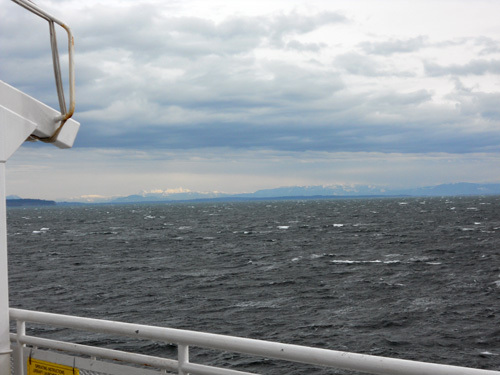 Passing another ferry en route to Victoria. Out in the straight, the chop was causing the ferry to bob about a bit! 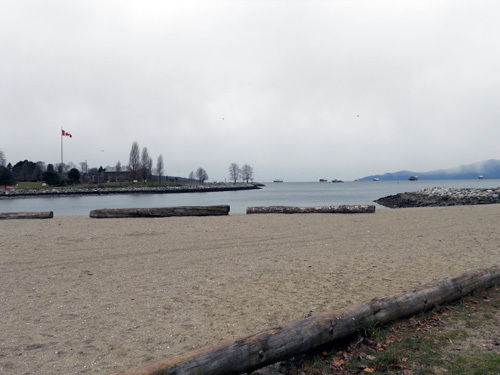 Lovely walkway along English Bay in the West End with views across to Kitsilano. The Ferry stop at the Aquatic Centre. 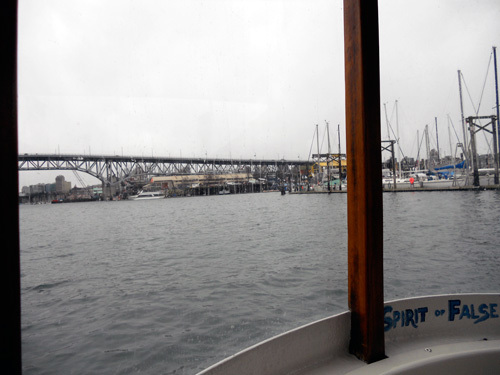 From here you can get to Granville Island, Yale Town, Science World and a few other stops. A quick hop on the harbour ferry from the Aquatic Centre to Granville Island.